The Wolf Pack is running wild! 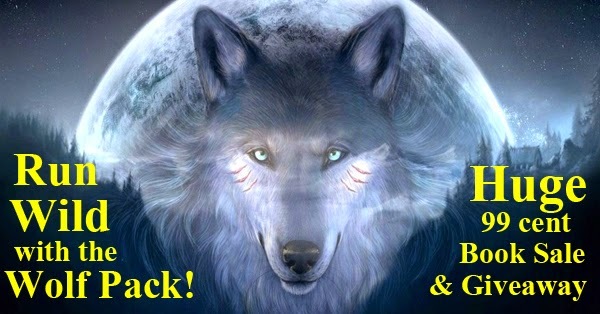 See below for all kinds of fabulous, wolfy-awesome stories. All of them are 99 cents or free from 1/22 until 1/25! Don't forget to enter the giveaway - prizes include a Kindle Fire and a bunch of Amazon gift cards: CLICK HERE TO ENTER! Want more shifter fun? Join The Wolf Pack Facebook group! Click here to join! Werewolf romance on sale in the UK!